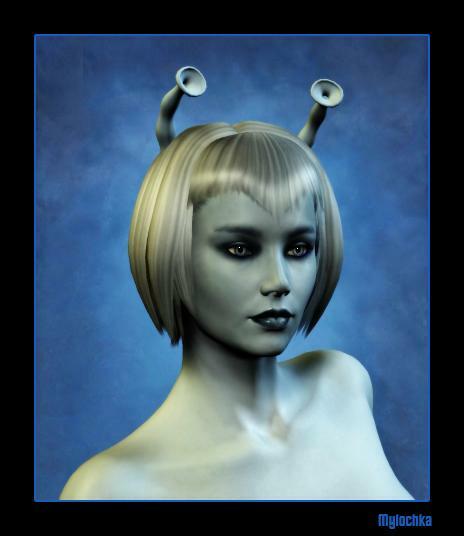 Here is my second, more successful try at recreating a classic Andorian bob. It is sized to fit not only V3 and V4, but DAZ's M3 and M4 as well. Wow. Is there some way I can get this for DAZ with an option for no antennae? Beautiful job. And I believe "tack" is Scandinavian for "thank you", regarding the other person's comment. Tack? What does this mean? Tacky? MDarwin (8 years ago) Inappropriate? I like all your Hair Models, Thanks! One problem I do have in DS 2.3 none of the "adjustment" morphs/Slider work. They are all visible. I even injected them "manually". Can you or someone help please? Thanks! gopherus (8 years ago) Inappropriate?